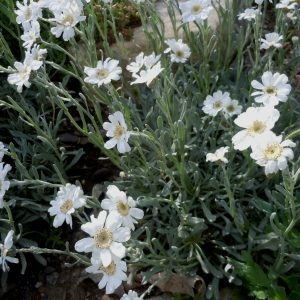 Care: full sun to part shade in moist to moist well-drained soil. Prune right after flowering, one-third of the oldest branches annually. Native: central Korea, where it is nearly extinct. 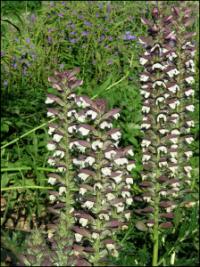 This is the sole species in this genus. 1st collected by Japanese botanist Takenoshin Nakai (1882-1952) before 1919. Nakai, professor, author, scholar and official botanist for Korea in 1910 after Japan annexed Korea following the Sino-Japanese and Russo-Japanese wars. There he explored the botanically unknown mountains and forests and introduced its plants to the world through his international contacts and his authorship of Flora Koreana. 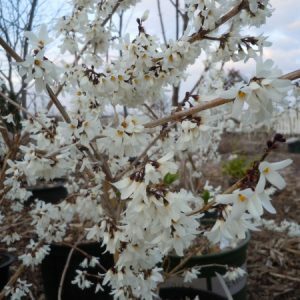 Abeliophyllum means leaves like an Abelia, a different shrub. In America’s Arnold Arboretum by 1924.